Utility to make customized Bingo. Is there a better alternative to My Bingo Cards? Is My Bingo Cards really the best app in Simulation category? 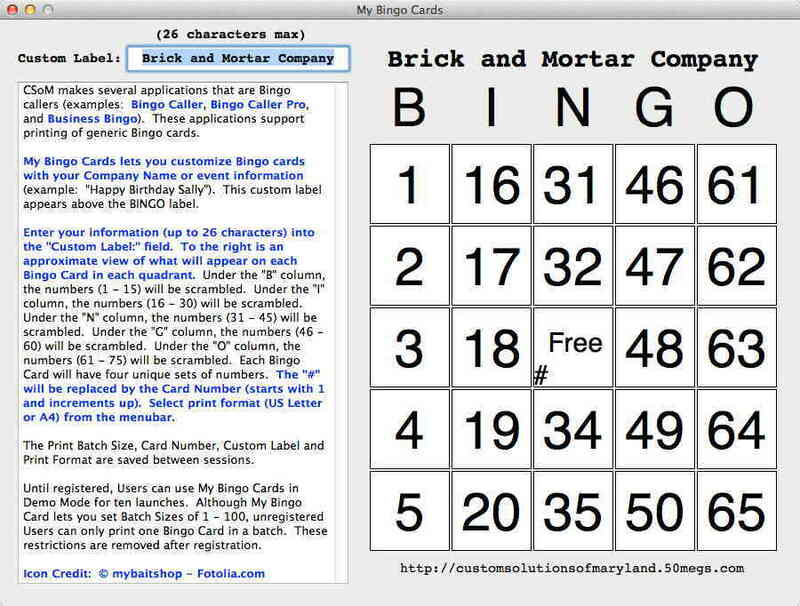 Will My Bingo Cards work good on macOS 10.13.4? 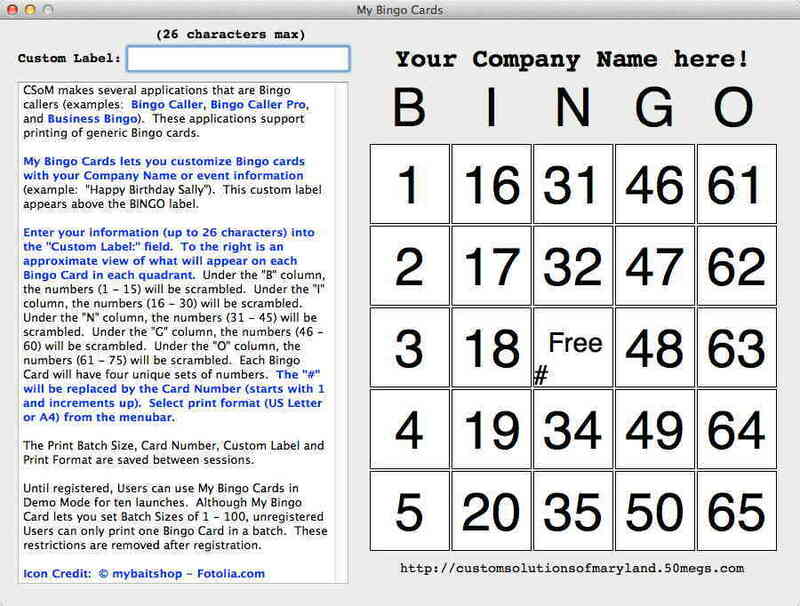 My Bingo Cards lets you print Bingo cards with a customized label with your company's name (or a special event) in batches of 1, 5, 10, 20, 50 and 100. The customized label can have up to 26 characters. My Bingo Cards is $10 shareware. Users can try My Bingo Cards in Demo Mode for up to ten launches. 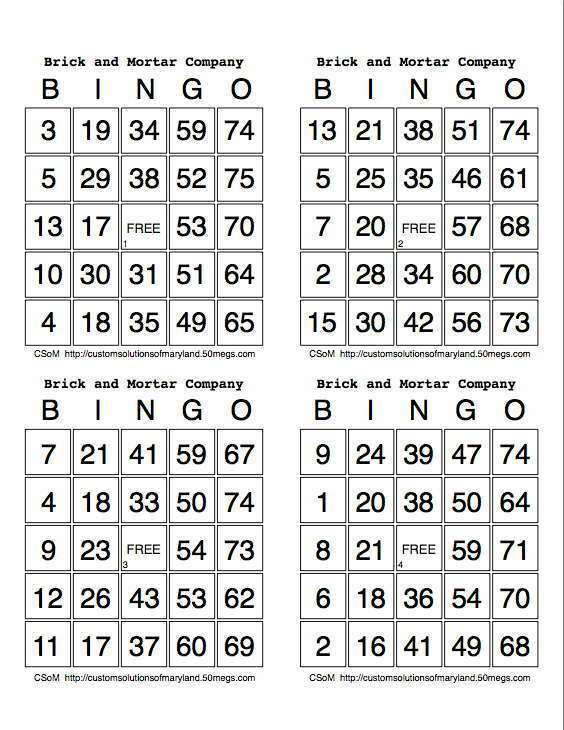 Until registered the batch size is limited to one Bingo sheet (four cards per sheet) per print. Registration removes these restrictions. Added the capability to print in US Letter or A4 format. My Bingo Cards needs a review. Be the first to review this app and get the discussion started! My Bingo Cards needs a rating. Be the first to rate this app and get the discussion started!